Médecins Sans Frontières/Doctors Without Borders (MSF) has suspended the admission of all patients to Al Sadaqah hospital in Aden following the kidnapping and killing of a patient. 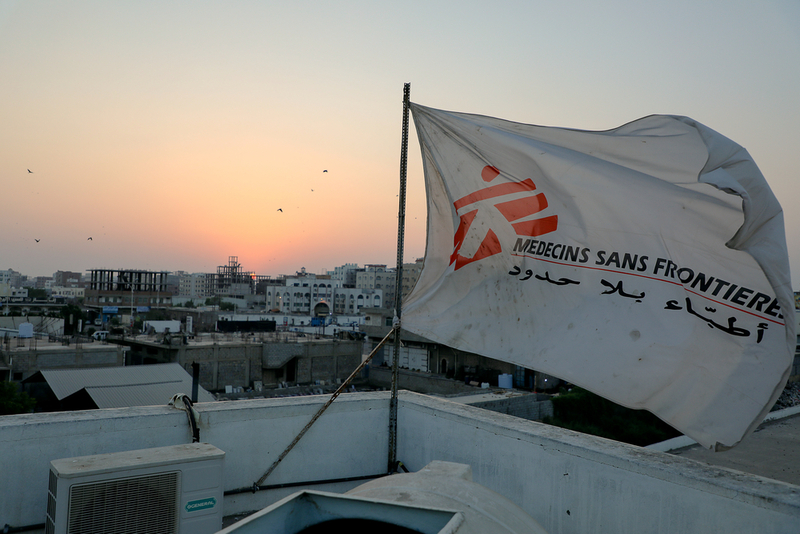 On the morning of 2 April 2019, a group of armed men forced their way inside MSF’s emergency trauma hospital in Aden, threatened guards and medical staff, and kidnapped a patient who was due to undergo surgery. Later the same day, the patient was found dead on a street in the city’s Al Mansoura district. This incident follows a number of threats and security incidents, involving both patients and staff, which have occurred since the start of the year at MSF’s hospital in Aden. It comes at a time when the hospital is particularly busy as a result of escalating violence in the city. "We are extremely worried by the deteriorating security situation inside Aden and its consequences for our medical activities"
“Following this incident, we have no choice but to suspend the admission of patients until further notice,” says Caroline Seguin, MSF’s programme manager for Yemen. “This suspension comes at a critical time for patients and their families from Aden, as well as patients from Hodeidah and Taiz governorates, from where we receive war-wounded in need of urgent surgical care on a daily basis,” says Seguin. MSF medical teams inside Al Sadaqah hospital continue to treat patients awaiting surgery who were admitted before the incident occurred. MSF teams have been working in Al Sadaqah hospital in Aden since 2012. Since then, they have provided more than 30,000 emergency consultations to patients coming from various regions affected by fighting, including Abyan, Taiz and Hodeidah governorates. During the battle for Aden in 2015, MSF’s hospital was one of a very few surgical facilities still functioning inside the city. In 2018, MSF increased the capacity of Al Sadaqah hospital to 104 beds to respond to an influx of war-wounded following the Hodeidah offensive. During 2018, MSF teams provided more than 6,000 emergency consultations and performed 5,400 surgeries at the hospital, 90 percent of which were violence-related. In Yemen, MSF teams work in 12 hospitals and provide support to more than 20 health facilities located in 11 governorates: Abyan, Aden, Amran, Hajjah, Hodeidah, Ibb, Lahj, Saada, Sanaa, Shabwah and Taiz.